Dental anxiety in children is being increasingly recognized as a major public health concern, as it can lead to underuse of dental care, as well as poor oral health. It is common to have a child afraid of the dentist. Research has shown that people with dental phobia (for this article, I’m using dental anxiety and phobia interchangeably) experience clinically significant panic symptoms including: cardiac sensations, sweating, trembling/shaking, dizziness/fainting and paresthesias (tingling, “pins and needles” or numbness type sensations). Panic symptoms may be associated with various anxiety-producing treatments and look differently based upon the specific dental procedure. For example, individuals who primarily fear oral X-rays may experience panic attacks with choking sensations, whereas people who fear other types of dental procedures may display a different set of panic symptoms. Dental phobia is a very real thing, and can sometimes prevent children and adolescents from receiving the best oral or medical care they need. As parents, what can you do to ensure your child gets the healthcare they need when it seems they are paralyzed by fear of the dentist? This post will give you some research and information regarding dental anxiety and then share some tips to help you and your child better manage it. As part of the first comprehensive population-based investigation of the origins of dental fear in childhood (1995), researchers discovered that children’s significant fear and avoidance of the dentist is highly prevalent and can be attributed primarily to direct conditioning associated with previous negative treatment experiences. Or, children acquired fears through modeling by parents or siblings. In fact, children who had a guardian with moderate to high dental fear were twice as likely to be afraid of the dentist than children who had a guardian with low dental fear. Strangers, injections and choking were the most common sources of fear among the group of child participants. 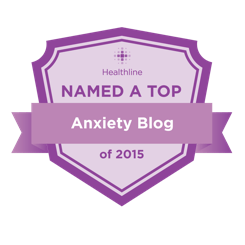 While it is true that one of the underlying causes of anxiety is the result of direct negative dental experiences, the nature of dental anxiety is more complicated than what is commonly presumed. For example, evidence suggests that how a person perceives the dental environment is a considerably more important determinant of dental fear and avoidance than having had a previous distressing experience at a dental visit. Avoidance of dental care might also be an aspect of some other condition, such as fear or social evaluation (social phobia), fear of germs, or fear of being away from the safety of home. Children with generalized dental anxiety experience significant anxiety in anticipation of dental treatment and are not typically able to identify one aspect of dental treatment that is difficult for them – just that “it’s all terrible.” Furthermore, children with generalized dental anxiety will often report difficulty sleeping the night before an appointment and feeling physically and/or emotionally exhausted after treatment. 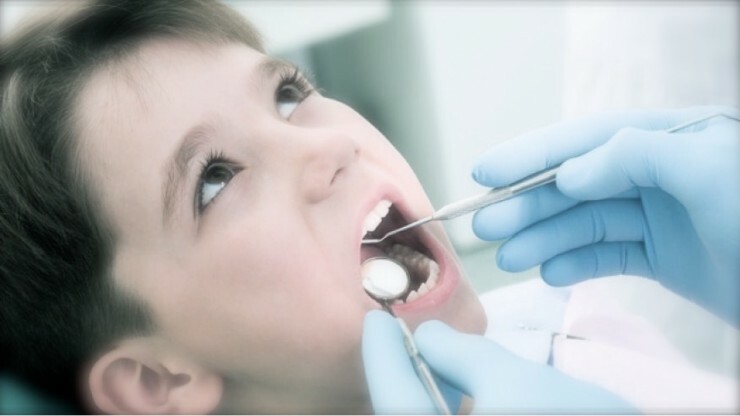 These children will worry about the procedure itself; their own behavior during the treatment and whether they will be able to manage their own anxiety; what future dental treatment they may or may not need; and whether the dentist and dental staff are perceiving them in a negative light because of their fear and oral health. Children, especially ones with anxiety, tend to do better when they’ve got a sense of predictability. They are much more likely to tolerate a procedure when they have been told in advance what to expect. Parents can help with this by describing what will take place and also what sensations the child might experience (specifically, what type of noises he might hear, what type of vibrations he might feel, or what he might taste). It might even be helpful to have the dentist demonstrate the procedure on the parent so the child can see what specifically will occur. This is commonly known as the “tell-show-do” method. One study in Venezuela found that children assigned to a tell-show-do group had no evidence of increased blood pressure in comparison to the increase experienced by the non-treatment group. The tell-show-do method provides the child with a much needed sense of both control and predictability. Encourage your child to signal when he needs the dentist to stop the procedure. This is a key component of building communication and trust between the child and the dental practitioner. By helping your child understand that signaling when he needs a rest break is acceptable and encouraged, you are giving him a means of more control over the situation. Relaxation strategies are especially useful for children with anxiety. They help slow down the body’s physical reaction to the anxiety or fear of the dentist. Many children will experience relief following a simple deep-breathing exercise, which involves deep inhalations and slow exhalations in a paced manner. Progressive muscle relaxation may also be helpful. This involves the child tensing and relaxing groups of muscles in sequence with his eyes closed. This can be done in the dentist’s chair or just before the visit at home or in the car on the way to the office. Systematic desensitization involves gradually exposing a fearful individual to the aspect of dentistry they find frightening while encouraging them to use relaxation strategies to reduce their anxiety. For example, for a child who is fearful of injections, the dental practitioner may first show him the syringe and explain its parts and purpose until he is able to view and hold the syringe with little to no anxiety. Next, the dentist may place the syringe with the needle capped in the child’s mouth to simulate the injection, holding the syringe in place for the length of a typical injection. The child should be encouraged to use relaxation strategies to manage the inevitable anxiety this may cause and until he expresses little to no anxiety and the actual injection can be given, replicating the location and the length of time demonstrated in each of the previous steps. You could allow for this exposure to occur by scheduling additional appointments prior to the treatment procedure appointment for your child to help gradually expose him to the dentist’s tools and office setting. A recent study asked children ages five to 17-years of age (with moderate dental anxiety/fear) to look at photographs for two minutes in the waiting room prior to their dental appointment. The intervention consisted of viewing positive images of dentistry (children smiling in the dental chair, a teddy bear in the dental chair, etc. ), and dental treatment procedures, with the control condition including dentally neutral images (images related to houses and gardening). The study concluded that viewing positive images of dentistry and dentists did result in short-term reductions in anticipatory anxiety in children, signifying that exposure is a successful intervention tool for children with dental anxiety. If this visual exposure technique is used, it would be important to ensure that all materials are age appropriate. If time constraints do not allow for using exposure methods or if the dental anxiety is not especially acute or severe in nature, distraction techniques might be helpful. Some suggestions of this type of strategy include: Using the same toy from the waiting room in the dental chair, visualizing a recent happy experience, such as a recent birthday party or field trip, and asking your child to think about the settings of that event while in the dental chair, or giving your child a task, such as counting the ceiling tiles while in the dentist’s chair to help redirect attention from the procedure. Recent studies have also indicated that music can serve as a distraction method for mildly anxious dental patients. In terms of praise and small, tangible rewards, (e.g. stickers, temporary tattoos, baseball cards) positive reinforcement can be a useful incentive for cooperation and for “brave behavior.” You could also set up a token system with the dentist, where the child would have an opportunity to “cash in” his tokens for a small treat from you following his successful office visit. It’s important to consider your role as a model for your children. In the already mentioned research, we’ve seen that children experience dental anxiety due to bad dental experiences in their past, but also from experiencing their parents’ own fear and anxiety of the dentist. Be positive and encouraging in your discussion of the dentist and dental visits, explain things clearly and be patient with your child as he faces his anxiety about going to the dentist. These tips will help you better manage your child’s dental anxiety, but if you find you are in need of experienced professional care, please contact a therapist in your area, or consider working through the Turnaround Anxiety Program with your child to help him be more prepared and better able to relax in the dentist’s chair. Armfield, JM, & Heaton, LJ. (2013). “Management of fear and anxiety in the dental clinic: a review.” Australian Dental Journal, 58(4), 390-407. Fox, C., & Newton, J.T. (2006). “A controlled trial of the impact of exposure to positive images of dentistry on anticipatory dental fear in children.” Community Dentistry and Oral Epidemiology, 34(6), 455-459. Milgrom, P., Mancl, L., King, B., & Weinstein, P. (1995). “Origins of childhood dental fear.” Behaviour Research Therapy, 33(3), 313-319. Potter, C., Kinner, D., Tellez, M., Ismail, A, & Heimberg, R. (2014). “Clinical implications of panic symptoms in dental phobia.” Journal of Anxiety Disorders, 28, 724-730. I didn’t think that dental anxiety was an actual thing until I met a few kids that were really scared of going to the dentist. I think it all has to do with their first visit. I have noticed that a lot of dentists take a first visit very slowly and make sure that the person is as comfortable as possible. I think first impressions are really strong in these types of situations. Anxiety is but a natural reaction to stressful situations. It is rather flexible and beneficial when it enables us to be anxious and assure that we achieve our objective. Nonetheless, it becomes disarray when practicality, there is impairment. It’s nice that you mentioned telling them what is going to happen in detail to prepare them. I always like to know what’s going to happen to me when I go somewhere so it makes sense that some children will feel the same. I will have to start doing this with my daughter and see if it helps her react better. Thank you for your help. It got me when you said that the way a person perceives a dental environment is a stronger factor that can affect dental anxiety than the experience itself. If that is the case, then I will convince my brother that a visit to the dentist is fun and that good boys like him go there regularly. That should be able to help since, for some reason, he has been asking me if it hurts to go to the dentist. I need to change his perception of the place.